Meeting all the industry standards, TFH Hire – Temporary Fence Mackay is constantly trying to challenge themselves and push the boundaries to give you the best possible temporary fence hire you can find in Mackay. Keeping up with the ever–changing industry requirements, TFH Hire – Temporary Fence Mackay want to push and excel your expectations for an unforgettable temporary fence service. If you need any assistance or have any questions, talk to one of our friendly staff members today. 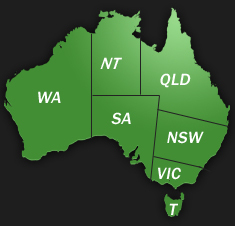 TFH Hire – Temporary Fence Mackay are the leading provider of temporary fences in Mackay. 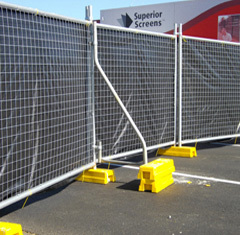 TFH Hire – Temporary Fence Mackay have a comprehensive range of temporary hire solutions including fences, toilets, event flooring and crowd control barriers. Our team at TFH Hire – Temporary Fence Mackay is friendly and have the social and technical skills to provide you with a fantastic long-lasting temporary fence at a terrific cost. So for an unforgettable service at an unforgettable price, give TFH Hire – Temporary Fence Mackay a call today.